Kingston Smith has advised on the sale of DirectionGroup, a B2B marketing agency with extensive expertise in brand creative, content, conversion and consulting, to Unlimited Group. DirectionGroup, now known as DirectionGroup Unlimited, is one of the UK’s fastest growing B2B marketing agencies with clients including Microsoft, Fujitsu and Tata Communications. The owners, Debbie Bough and Trish Harriss, were looking for assistance to secure a deal that would help them take their already successful business to the next level. They appointed Kingston Smith to advise them because of its unrivalled industry knowledge and extensive network of strategic acquirers. Kingston Smith targeted prospective buyers on DirectionGroup’s behalf, and having received interest from a number of parties, Debbie & Trish chose to pursue an offer from Unlimited Group, because they perceived a great strategic, commercial and cultural fit between the two businesses. Debbie and Trish will continue to run DirectionGroup Unlimited and look forward to helping Unlimited Group achieve its aim of joining up client-side marketing, communications and sales departments with a range of specialist services including brand development, PR, content marketing, performance marketing, channel partner communications and sales enablement. Nicola Horton, principal, and Paul Winterflood, director, led the Kingston Smith corporate finance team. The team has a strong track record of managing deals in the media and marketing services sector. Kingston Smith also provided advice on the corporate and personal tax implications of the transaction. To find out how Kingston Smith can help you prepare for the sale of your business, or to discuss future opportunities, please get in touch. JJ Marketing is a full-funnel marketing agency that delivers powerful, results-driven, integrated marketing campaigns for a diverse portfolio of clients, including Hyundai, NatWest and Nikon. As its auditors and trusted advisers since 2014, Kingston Smith was well equipped to support the agency through its sale from a tax and accounting perspective. Paul Winterflood, corporate finance director at Kingston Smith, and his team modelled the working capital and advised on negotiations with the buyer. In addition, the team helped the agency with the financial aspects of the Sale and Purchase Agreement and our tax advisers provided tax structuring advice. 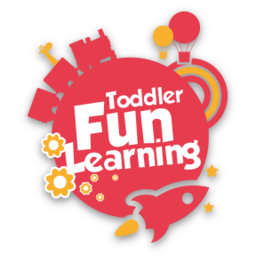 We are delighted to announce the successful sale of a majority stake in Toddler Fun Learning (TFL) to private equity-backed media vehicle Moonbug. TFL delivers children’s content via YouTube and its Toddler Fun Learning App. It is famous for its Gecko’s Garage series and Number Zoo and aims to transform learning and storytelling for children worldwide. This is the second sale of a YouTube channel that the Kingston Smith team has assisted with. 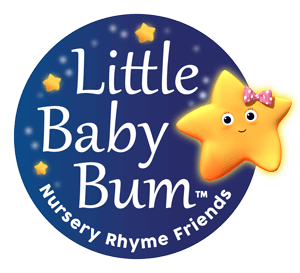 In 2018, they advised the owners on the sale of children’s channel Little Baby Bum. The channel regularly features among the top ten most-viewed YouTube channels on earth and its “Wheels on the Bus” compilation has been recognised as the number one educational video by Guinness World Records for three years running. 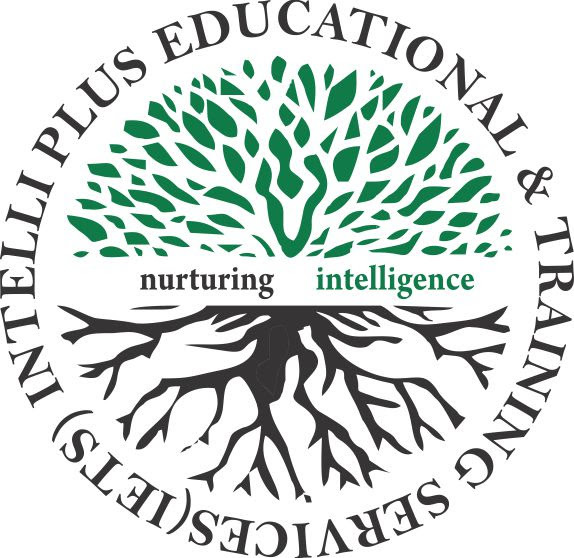 Kingston Smith has helped Triumph Research Intelligence (TRI) secure funding from Octopus Investments. TRI is a company dedicated to risk-based monitoring in clinical trials. The funding will accelerate development of TRI’s core technology platform, OPRA, and expand its international presence. Founded in 2014, TRI developed the first dedicated cloud-based software for risk-based monitoring. It enables early risk detection, improved data quality, increased operational efficiency and compliance with regulatory requirements. New regulatory guidance requiring risk to be considered from the start of a trial has driven demand for OPRA. TRI's clients include pharmaceutical companies, clinical research organisations and bio-tech start-ups in the broader clinical trials market. The Kingston Smith team, led by John Cowie, head of growth capital, and Paul Winterflood, director and technology specialist, assisted TRI in identifying interested funders. The team also advised the health-tech company on how to position its pitch. Kingston Smith’s tax specialists Mark Fielden and Tom Acland provided tax structuring advice throughout. The deal is the second time the Kingston Smith team has helped a client secure funding from Octopus Investments in six months and its fourth growth capital fundraise completed in the last 12 months. Kingston Smith Corporate Finance Limited has advised the shareholders of Healthcircle Advertising, a specialist healthcare advertising and creative communications agency, on its sale to the Fishawack Group. Healthcircle’s founder shareholders had approached Kingston Smith Corporate Finance for support to secure a “transformational deal” to develop their business. Kingston Smith targeted prospective buyers on Healthcircle’s behalf, and having received a great deal of interest from a number of parties, the shareholders chose to pursue an offer from Fishawack, because they perceived a great strategic, commercial and cultural fit between the two businesses. The Kingston Smith team compiled the marketing documents, analysed financials, led negotiations with the buyer and advised on tax structuring, deal completion mechanisms and corporate and personal tax implications of the deal. Nicola Horton, Principal, and James MacLeay, led the Kingston Smith Corporate Finance team. The team has a strong track record of managing deals in the media and marketing services sector. Kingston Smith is pleased to have provided financial due diligence services to M&C Saatchi in connection with its acquisitions of beauty influencer agency Red Hare Digital and its sister consultancy and agency Grey Whippet. Kingston Smith Corporate Finance Limited has advised the shareholders of Louis I Michaels Limited on the sale of the Grade I listed Theatre Royal Haymarket. Access Entertainment, the global division of Sir Leonard Blavatnik’s Access Industries, bought the theatre for an undisclosed sum. The Theatre Royal Haymarket, which is nearing its 300th anniversary, is an important acquisition for Access Entertainment and its growing portfolio of investments across television, film and theatre. 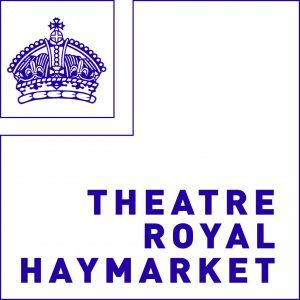 First established in the 18th century, the Theatre Royal Haymarket is the third oldest London playhouse still in use and one of only three Grade I listed theatres in London. Oscar Wilde’s very first comedy as well as his later play, An Ideal Husband, both premiered at the theatre and to this day the theatre attracts global talent such as Damian Lewis, Bradley Cooper, Dame Judi Dench and Ralph Fiennes. Nicola Horton, Principal, and Paul Winterflood, Director, led the Kingston Smith Corporate Finance team. The team has a strong track record of managing deals in the media and marketing services sector. 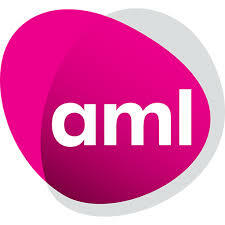 Our team helped AML Communications prioritise the key management actions to deliver a strategic growth plan. This included a highly structured workshop with senior management and stakeholders, facilitated by an experienced Kingston Smith partner to assess the current state of the business. Kingston Smith has helped Ubisecure, a B2B identity services software provider with a strong footprint in Finland, to obtain funding from Octopus Investments to fuel expansion in Europe. Ubisecure provides a powerful Identity Platform to connect customer digital identities with customer-facing SaaS and enterprise applications in the cloud and on-premise. 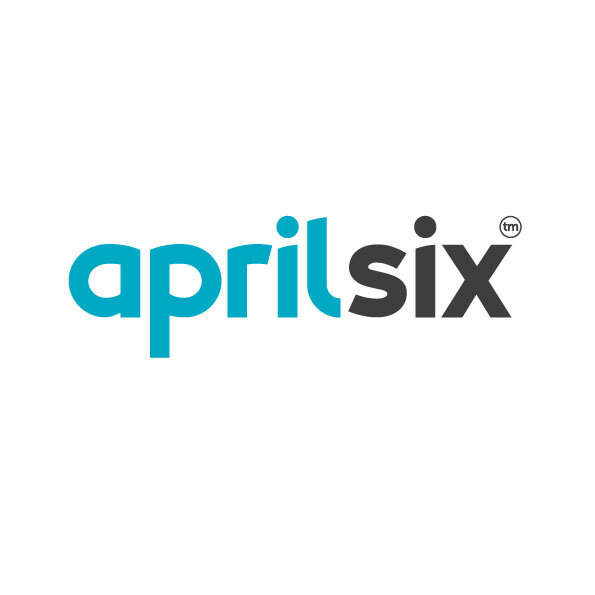 The platform consists of productised CIAM middleware and API tooling to help connect, manage, consolidate and secure Customer identities while improving privacy and consent around personal data sharing to meet requirements such as GDPR and PSD2. The company is also accredited to issue Legal Entity Identifiers (LEI) under its RapidLEI brand, a cloud-based service that automates the LEI lifecycle to deliver LEIs quickly and easily. The Kingston Smith corporate finance team led by John Cowie and Paul Winterflood supported Ubisecure. They identified potential funders who would be interested in investing in Ubisecure and advised Ubisecure on how to structure its pitch to funds. Once a deal was agreed in principle, Kingston Smith’s tax team comprising Mark Fielden, Tom Acland and Geraint Lewis advised Ubisecure on the most appropriate tax structure. Simon Wood, CEO of Ubisecure, said: “We really appreciate everything John and the rest of the Kingston Smith team have done for us and are very excited about our next phase of expansion. With the number of breaches involving personal information increasing and with GDPR taking effect today, how companies handle data is a hot topic. Our identity platform not only protects and manages identity data, it helps make the most of existing digital identities to bring about organisational efficiencies”. Kingston Smith has advised Zebra Worldwide Group on its sale to global content creator, US-based Creative Drive Inc.
Zebra Worldwide was founded as a production company in 2005. 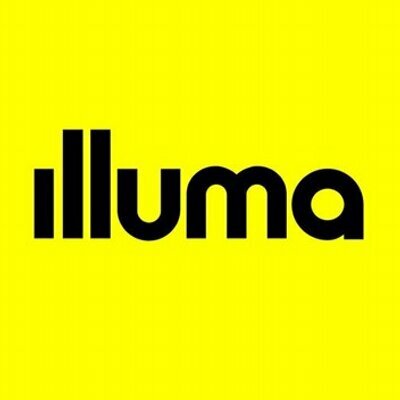 From then, the business grew to provide still and moving image production, post-production, localisation and associated technology services through its offices in London, Paris, Cape Town, Kiev and Sydney. Zebra Worldwide works with many global brands including Reckitt Benckiser, Hilton and, Hotels.com. The Kingston Smith team led by Ian Graham, supported by Paul Winterflood in the corporate finance team and Mike Hayes in the tax team worked closely with Zebra Worldwide’s founders Luke Hammersley and Nic Franklin and its finance director Sarah Rose. They advised on Zebra Worldwide’s group restructuring and assisted the Zebra team throughout the sale. They also provided support preparing the statutory accounts and Kingston Smith’s outsourcing professionals helped prepare information for due diligence. The deal included input from Sydney and Paris-based members of Morison KSi, the top ten global association of which Kingston Smith is a founder member. Kingston Smith Corporate Finance has advised the shareholders of QBS Software Ltd on the company’s sale to GNR Technology Ltd for an undisclosed sum. QBS is a leading software distributor, providing a comprehensive range of products from a wide spectrum of software publishers. Headquartered in London, the company employs 40 staff. The Kingston Smith Corporate Finance team was appointed to help find an acquirer using its technology sector knowledge. Led by partner Marc Fecher and director Nick Thompson, the team worked closely with QBS Software’s shareholders to identify potential buyers and to negotiate, manage and complete the sale. Mark Spangenthal, Director of QBS said: “Thank you Marc, Nick, Kat and the Kingston Smith Corporate Finance team, we couldn’t have done such a complicated transaction by ourselves. From the beginning of the process, you understood our personal requirements and exceeded our expectations of value by a significant multiple”. Skye Quin, Director, of QBS said: “You helped, managed and supported us throughout the sale process with a personal touch and were a pleasure to work with. We’d highly recommend Kingston Smith to any tech entrepreneur wanting to sell their business”. Marc Fecher said: “It’s been a great pleasure to see the QBS shareholders succeed with this sale. We’ve really enjoyed being part of their business journey”. Dave Stevinson, Managing Director of GNR Technology Ltd commented: “Credit goes to both sets of advisors for their diligence to get the deal done in a professional manner and working above and beyond the call of duty to particularly tight deadlines”. Both companies will continue to trade as separate companies under their own names. Kingston Smith’s corporate finance team advised AIM-listed Parallel Media Group on its acquisition of Brick Live and Parallel Live, to create a new live entertainment events company, Live Company Group, on the AIM market. BRICKLIVE events are a global network of partner-driven shows built for fans of LEGO®. Kingston Smith acted as reporting accountants for the re-admission to AIM. The firm completed financial and tax due diligence on Brick Live and Parallel Live, as well as a working capital review for the enlarged group. David Ciclitira, Chairman of Parallel Media Group said: “As Parallel Media Group’s auditors, Kingston Smith were the natural choice to advise us in this transaction. The Kingston Smith corporate finance team brought a strong mix of technical insight and commercialism to their role as reporting accountants. We look forward to working together further in the future”. Top 20 UK chartered accountancy and business advisory firm Kingston Smith assisted tech start-up company appScatter with its AIM listing earlier this month. appScatter is a scalable business-to-business software-as-a-service platform. It allows its paying users to distribute and manage their apps on multiple app stores as well as tracking performance and compliance. Kingston Smith’s corporate finance and technology accountants worked closely with the visionary tech company and its nominated adviser, brokers and lawyers throughout the listing process. The firm advised appScatter on compliance, specific regulatory requirements, tax and corporate finance. On 5 September appScatter raised £9m to secure its admission onto AIM. appScatter is set to roll out its platform in Q4 2017 and plans to establish a presence in China in 2018. Kingston Smith Corporate Finance (KSCFL) has advised youth, entertainment and technology specialist media buyer, MJ Media, on its sale to integrated agency Once Upon A Time. KSCFL was appointed to help find an acquirer for MJ Media and used its expert knowledge of the industry and extensive network to identify strategic acquirers. 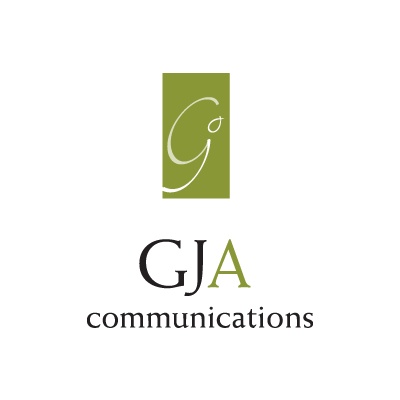 MJ Media received significant interest from a number of agencies across the industry looking to acquire MJ Media’s media buying expertise and youth, technology and entertainment sector knowledge. Having identified strategic acquirers within the industry, KSCFL worked closely with MJ Media’s Founder, Martin Jones, and Managing Director, Matthew Fuller, and managed and negotiated the sales process to a successful completion. Mandy Merron, Director of Kingston Smith Corporate Finance said: “It was a pleasure to work with Martin and Matt from start to finish on this deal. MJ Media and Once Upon A Time are a great fit and we expect to see the enlarged group continue to go from strength to strength over the next few years”. In August 2017 Teneo acquired leading management consulting firm Credo. The transaction represents a major expansion of Teneo's consulting division as the company experiences significant growth. The acquisition of Credo brings a team of 60 staff to Teneo and expertise in corporate strategy, transaction services, commercial and operating model transformation and performance improvement. Kingston Smith gave financial and tax advice to the Credo partners in respect of their sale to Teneo. Kingston Smith is pleased to have provided financial and tax due diligence services to Human Race Limited in connection with its acquisition of Xtra Mile Events Limited. Human Race is the largest and most diverse mass participation events company in the UK, with a portfolio of over 30 events each year. Xtra Mile, also a sports event company, organises a number of endurance events across Wales and Northern England - most notably, the Greater Manchester Marathon. The acquisition of Xtra Mile has strengthened Human Race’s position in the sporting event sector. Human Race is the UK’s leading mass participation events company, putting on over 30 events each year in triathlon, cycling, running, duathlon and open water swimming. Part of Amaury Sport Organisation (ASO), owners of Le Tour de France and the leader in the French running and sportive market, Human Race’s prestigious portfolio includes the Windsor Triathlon, Dragon Ride L’Etape Wales, the Cancer Research UK Winter Run Series and VitalityMove. The company also specialises in delivering bespoke corporate events, working with businesses such as JLL and Cisco. Kingston Smith Corporate Finance advised the shareholders of Freightex Ltd, the Dover headquartered provider of logistics and freight brokerage services in the UK and Europe, on the sale of their business to UPS.. UPS is among the largest multi-modal transportation companies in the world with extensive global airlines, trucking and package delivery networks. Shippers of all sizes and industries today rely on Freightex for the efficient movement and visibility of goods across the UK and Europe. The company has eight locations across the UK and Europe and matches customers’ outgoing freight shipments with available trucking capacity across its network of carriers. 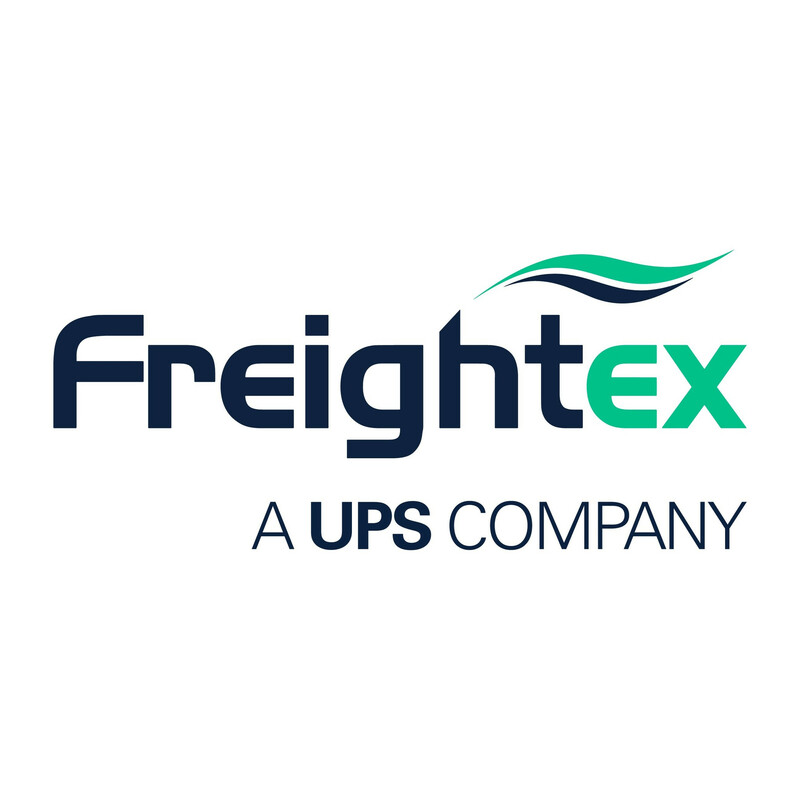 Freightex will operate under UPS’s Coyote business unit through the Supply Chain and Freight segment and its customers will gain the benefits of scale, reach and access to a broad integrated portfolio of shipping solutions for all their supply chain management needs. The acquisition immediately establishes UPS’s presence in the growing UK and European third-party logistics (3PL) over-the-road brokerage transportation market and launches a new global and regional UPS growth platform from an established base of customers and carriers. Kingston Smith Corporate Finance is delighted to have advised on the sale of a majority stake in Code Computer Love (“Code”) to MediaCom, part of WPP. Nicola Horton led the Kingston Smith team that advised the shareholders of Code on the transaction and was assisted by Paul Winterflood. 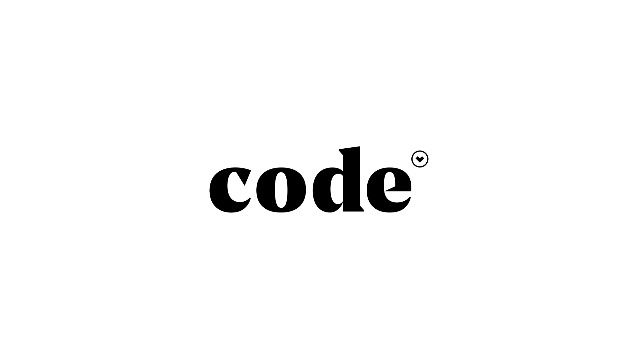 Founded in 1999, and headquartered in Manchester with around 80 staff, Code is a user experience studio that creates and develops digital products, campaigns and capabilities. Clients include Hillarys, Brother and Amnesty International. Following the acquisition, Code will continue to be managed by its founders Tony Foggett, Louis Georgiou and Wini Tse, who retain a significant stake in the business. MediaCom said that the acquisition would allow it to offer clients a fully connected service across the entire customer journey. The deal also helps meet a target set by MediaCom parent WPP for between 40% and 45% of its total revenues to be derived from digital services within the next five years. Kingston Smith is pleased to have provided financial due diligence services to Mobeus Equity Partners in connection with its £2.2m growth capital investment in BookingTek. BookingTek is a provider of direct-booking software to major hotel groups. The funding will be used to expand the BookingTek team, broaden its international presence and facilitate the development of future products. London-based BookingTek, which was founded in 2011, provides software that enables hotels to reduce their reliance on third-party booking systems through an enterprise-grade, real-time booking platform for meeting rooms and restaurant reservations. The platform incorporates PCI payment processing that enables hotels to make their products viewable, bookable and payable all on their own website. 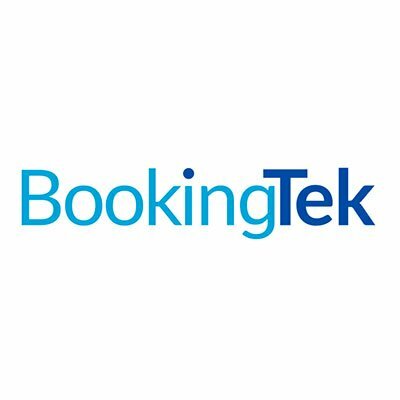 BookingTek’s products meet a key strategic focus of hotel groups at present which is to encourage guests to book directly rather than through third parties. BookingTek’s existing clients include two of the world’s top 10 hotel groups and the UK’s largest hotel group. BookingTek’s Meetings Maker product is the only software product that integrates with Oracle MICROS’ Opera Web Services for Sales & Catering, the leading hotel property management (PMS) software world-wide. Kingston Smith Corporate Finance Limited (KSCFL) is delighted to have advised House PR on its sale to W, PR Week’s mid-sized consultancy of the year 2015. KSCFL was appointed to help find an acquirer for House PR and used its expert knowledge of the industry and extensive network to identify strategic acquirers. 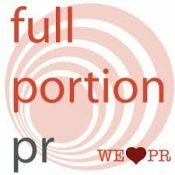 House PR received significant interest from a number of agencies in the industry looking to acquire House PR’s expertise in entertainment and hospitality brands. KSCFL worked closely with House PR’s Managing Director Ginny Paton and managed and negotiated the sales process to a successful completion. Mandy Merron, Director of Kingston Smith Corporate Finance says, “It was a pleasure to work with Ginny from start to finish on this deal. House PR and W are a great fit and we expect to see the enlarged W group continue to go from strength to strength over the next few years”. Devonshire Corporate Finance Limited, the FCA-regulated arm of Kingston Smith Corporate Finance, has advised the board of Severn Valley Railway (Holdings) plc on the launch of its latest share offer, which is aiming to raise £2.5 million from new and existing shareholders. Severn Valley Railway is celebrating over 50 years as a tourist attraction and runs regular, mainly steam-hauled, passenger trains between Kidderminster in Worcestershire and Bridgnorth in Shropshire. Much of Bridgnorth’s infrastructure and facilities date back to 1862, and are in need of conservation and considered enhancement to cope with the heritage railway’s ever-increasing number of visitors. This latest share offer will enable a substantial portion of the railway’s Bridgnorth redevelopment plans to be completed, and will supplement funds that the railway is raising through charitable giving and grants. Devonshire Corporate Finance Ltd (DCFL) advised the shareholders of Hammer Consolidated Holdings Ltd, a leading specialist distributor of server and storage solutions, on the sale of their business to DCC Technology, which trades as Exertis. DCC Technology has agreed to acquire Hammer Consolidated Holdings Ltd, which in its financial year ended 31 January 2016, earned an operating profit of £6.3 million on revenue of £155.0 million. The transaction is conditional on competition clearance from the European Commission and is expected to complete by the end of the year. The consideration will be paid entirely in cash and is structured as an initial payment at completion, followed by earn-out payments over three years based on Hammer’s future trading results. 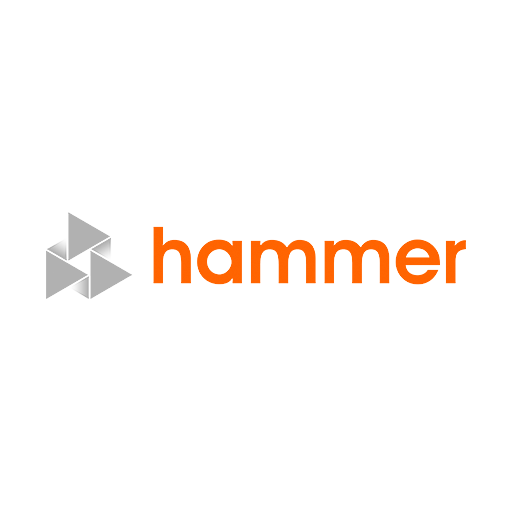 Based in Hampshire and employing 165 staff, Hammer distributes server and storage products for a broad range of leading suppliers including Dell, Intel, NetApp, Seagate and Western Digital. Hammer’s business is considered to be complementary to Exertis’ existing server and storage business, and will strengthen its supplier portfolio with the addition of almost 1,000 reseller customers. Kingston Smith Corporate Finance has supported the shareholders of Flipside on the sale of their mobile and digital agency to Weber Shandwick, part of the Interpublic Group. Headquartered in London, with 35 staff, Flipside designs and develops mobile apps and digital experiences, and does strategic business and technology planning, social media management and mobile-centric marketing communications. 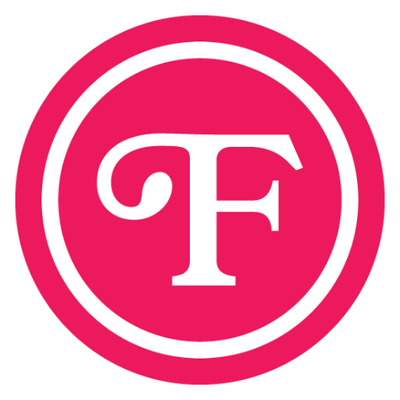 The acquisition combines Flipside’s mobile platform expertise, and creative and technical services with Weber Shandwick’s global capabilities in social media, brand publishing and integrated media. Together with Flipside, Weber Shandwick will deliver a full-scale, modern digital offering that blends content, community and commerce for both B2C and B2B marketers. Nicola Horton led the Kingston Smith Corporate Finance team in providing transaction support services to the Flipside shareholders. Devonshire Corporate Finance advises on MBO for engineering specialist recruiters - Alexander Associates. Devonshire Corporate Finance Ltd (DCFL) recently advised on the management buy out for Alexander Associates, a £10 million specialist engineering recruitment consultant in Kent. Managing Director of Alexander Associates, Gareth Jones comments: “The team at DCFL were instrumental in the MBO of our business. I found it amazing how quickly they got to grips with the figures and were able to illustrate the performance and potential of the business in a language that financiers require. DCFL were on our wavelength from day one. Marc Fecher, Head of Devonshire Corporate Finance says, “It was a pleasure to be able to support and advise Gareth and his team from start to finish on this deal. Alexander Associates is a fantastic business that will be taken to the next level now that ownership has transferred to the longstanding, proven and passionate management team. Devonshire Corporate Finance Ltd is part of Kingston Smith LLP Group and has many years' experience in helping clients achieve their ambitions, having completed over 350 transactions in a variety of sectors. We provide a wide range of corporate finance advice covering business disposals, strategic and exit route planning, mergers and acquisitions (including accelerated M&As in distressed situations), raising finance and flotations, and management buy-outs and buy-ins. Devonshire Corporate Finance Ltd is regulated by the Financial Conduct Authority. Kingston Smith recently advised on the sixth practice acquisition for Gensmile Dental Care Ltd. Gensmile is a next generation dental group focused on long term partnership and quality. Gensmile concentrates on the efficient and effective management of the practices so that the dentists can focus purely on providing the best high-quality patient care possible. Gensmile’s six practices are based across Lancashire, Wiltshire, Worcestershire and Cornwall. Gensmile founder and Managing Director, Simon Turton comments, “We seek to differentiate ourselves by our ability to find creative deal structures which addresses vendor needs when selling their dental practices. Kingston Smith has given us highly professional and insightful support in helping us to create value through these transactions”. Kingston Smith is pleased to have provided financial due diligence and advisory services to London estate agent Portico on the successful acquisition of Spencers. The transaction was funded by Clydesdale Bank. Spencers is an estate agent comprising eight branches located across East London. 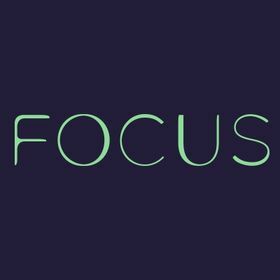 Its acquisition represents a significant development in Portico's strategic expansion plans, taking their total number of offices to 20, with around 200 employees. Kingston Smith has advised Andrew Philpot in the Management Buy Out (MBO) of facilities management company Temco Facility Services Limited (“Temco”). The transaction was supported by Bank Leumi. Temco is a £6 million facilities management business whose clients are located across the UK, predominantly in London and the South East. Andrew Philpot, Temco’s managing director, was offered the opportunity to acquire it when the holding company was sold to international facilities management group Atalian earlier this year. Kingston Smith Corporate Finance was appointed in February and completed the acquisition eight weeks later, having secured four offers of financing. Kingston Smith has advised the Noble Organisation Ltd on Brighton Marine Palace & Pier Company disposal to Eclectic Bar Group PLC. The total cash consideration was £18 million. The Brighton Marine Palace & Pier Company owned and operated Brighton Pier, one of the most popular leisure attractions in the UK. Eclectic Bar Group PLC is an AIM quoted leisure company. Its Chairman and largest shareholder is Luke Johnson, serial entrepreneur and Chairman of both Patisserie Holdings PLC and private equity firm, Risk Capital Partners. Kingston Smith acted as financial adviser to the Noble Organisation on the transaction. We identified and approached the buyer and continued to advise for the duration of the process. Ian Imrie, MD of the Noble Organisation Ltd commented, “Kingston Smith has been instrumental to this deal; finding the buyer, ensuring the buyer fully understood the business from the outset and advising throughout the process. In February 2016 Golin acquired award-winning independent creative agency The Brooklyn Brothers. With 130 staff in offices in the UK, US and Brazil and a Hollywood writing room, the deal significantly increases the scope of Golin’s New York and London operations. The Brooklyn Brothers’ clients include brands such as Castrol Edge, NBC and Pepsi. Kingston Smith gave tax advice to the shareholders of The Brooklyn Brothers in respect of their sale to Golin. Kingston Smith Corporate Finance has supported the shareholders of 3 Monkeys Communications on the sale of their agency to global network, Zeno Group. Founded 13 years ago and headquartered in London, 3 Monkeys employs more than 60 staff. Clients include Microsoft, United Biscuits and TGI Fridays. Zeno Group is a global independent communications agency with 22 offices around the world, employing more than 300 people. Zeno Group has merged its existing UK operations with those of 3 Monkeys, to form 3 Monkeys | Zeno, in order to create a more powerful platform from which to grow in Europe and beyond. Kingston Smith Corporate Finance provided transaction support services to the 3 Monkeys shareholders and management team. Oliver Marketing is a marketing agency with a difference. 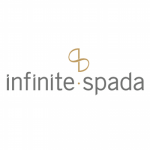 The company has developed a disruptive model which provides dedicated on site agencies for its clients. 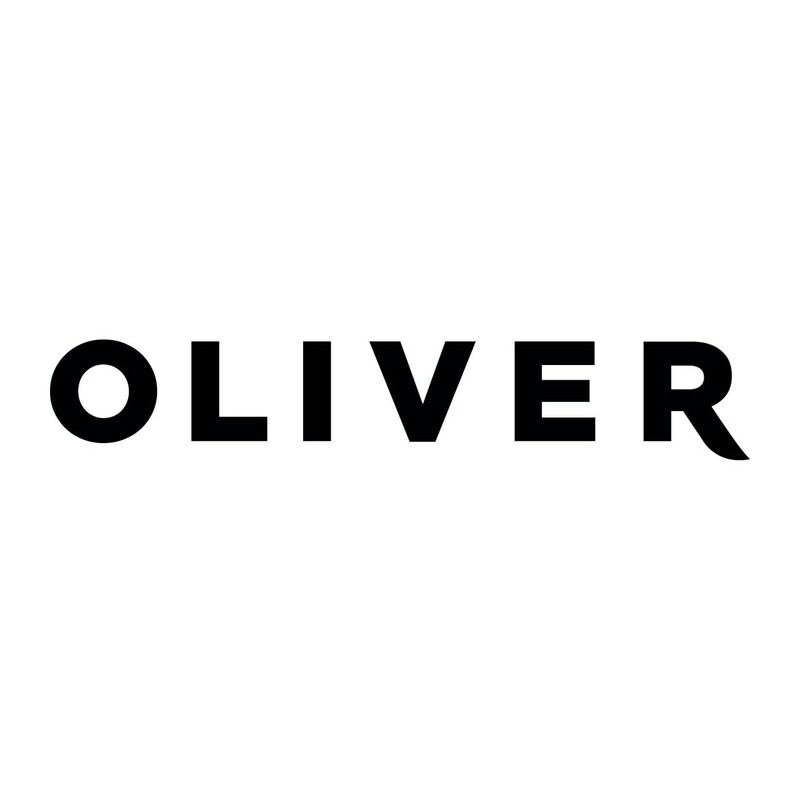 Oliver is growing fast but, as well as organic growth, the business is looking to acquire. September 2015 was a busy month for Oliver, and for us, as we worked with them on their acquisitions of leading digital agency, Dare from EDC Communications and leading property specialist marketing agency, Aylesworth Fleming from Emerge. On Oliver’s acquisition of Dare, we were asked to provide transaction support to Oliver with financial and tax due diligence. Working closely with group finance director, Simon Weaver, we were delighted to be able to help deliver this transaction. Simon Weaver said: ‘I’m very pleased with the acquisition of the Dare Digital Group, and would like to thank Mandy’s team at Kingston Smith for their invaluable support, help and insight in completing this acquisition’. Kingston Smith’s remit was to identify creative agencies with a strong geographical footprint and Aylesworth Fleming fitted the bill. Established in 1985 in Bournemouth, the company now employs more than 100 people in offices in London, Bournemouth, Edinburgh, Leicester and Manchester and has a network of remote account handlers nationwide. We are delighted to have advised on the planned acquisition of Reef Television by UK media business, Ten Alps Plc. Reef Television is one of the UK’s leading producers of factual television, including long-running series such as “Put Your Money Where Your Mouth Is” (BBC One) and “Selling Houses with Amanda Lamb” (More 4). AIM-listed Ten Alps’ operations cover television programming, business publishing and digital content production. Kingston Smith Corporate Finance acted as lead financial and tax advisers to the shareholders of Reef Television and provided transaction and accounting support services to the finance team, enabling this deal to be completed against very tight deadlines. Kingston Smith Corporate Finance has advised on the sale of shopper marketing agency, Vivid Brand Communications, to international marcoms network Publicis Worldwide. Founded in 1991 and headquartered in London, Vivid specialises in shopper research, strategic planning, visual identity systems, in-store communications, digital shopper marketing and packaging design. The firm uses insight into brands and consumer behaviour to create retail experiences that drive purchases and build long-term loyalty. Vivid’s clients include Nestlé, Coca Cola, Pernod Ricard, Beiersdorf, Johnson & Johnson, Henkel, SAB Miller and Diageo. Vivid will be joining the Publicis UK network, which also includes Publicis London, POKE, Publicis Chemistry and Publicis Blueprint. The acquisition is expected to strengthen Publicis’s service offering to clients, with the opportunity to embed Vivid’s shopper methodology across the entire network. Kingston Smith Corporate Finance acted as lead financial and tax adviser to the members of Vivid Brand Communications LLP. Kingston Smith Corporate Finance advised on the sale of global media management and distribution provider, WRN Broadcast Limited, to Babcock International Group plc. Headquartered in London, WRNB offers innovative broadcast solutions that deliver television and radio content to any platform or device anywhere around the world. 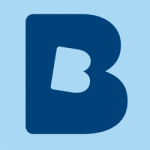 WRNB will join Babcock’s Media Services business. The acquisition strengthens Babcock’s service offering to customers, and the wider market, by combining the two companies’ engineering and operations expertise and extending Babcock’s range of services and broadcast solutions. Kingston Smith Corporate Finance acted as lead financial and tax adviser to the shareholders of WRNB and provided transaction and support services to the WRNB executive management team. Kingston Smith Corporate Finance advised Mobeus Equity Partners on the management buyout of Media Business Insight Limited, the UK’s leading publishing and events business focused on the creative industries: advertising, TV production and film. Media Business Insight, which employs more than seventy staff, and enjoys an annual turnover of £11m, has four product lines: Broadcast, the principal publication for those working in the UK broadcasting industry; Screen International, the leading film industry resource that covers the international film markets; Shots, the industry benchmark for internationally leading commercials, and Alf, which is the UK's principal marketing and advertising intelligence tool. Mobeus Equity Partners is a leading UK VCT Manager with £230m funds under management and is an active investor in privately-owned UK SMEs. Kingston Smith Corporate Finance gave valuation advice to Mobeus Equity Partners who provided a combined debt and equity package to support the transaction. 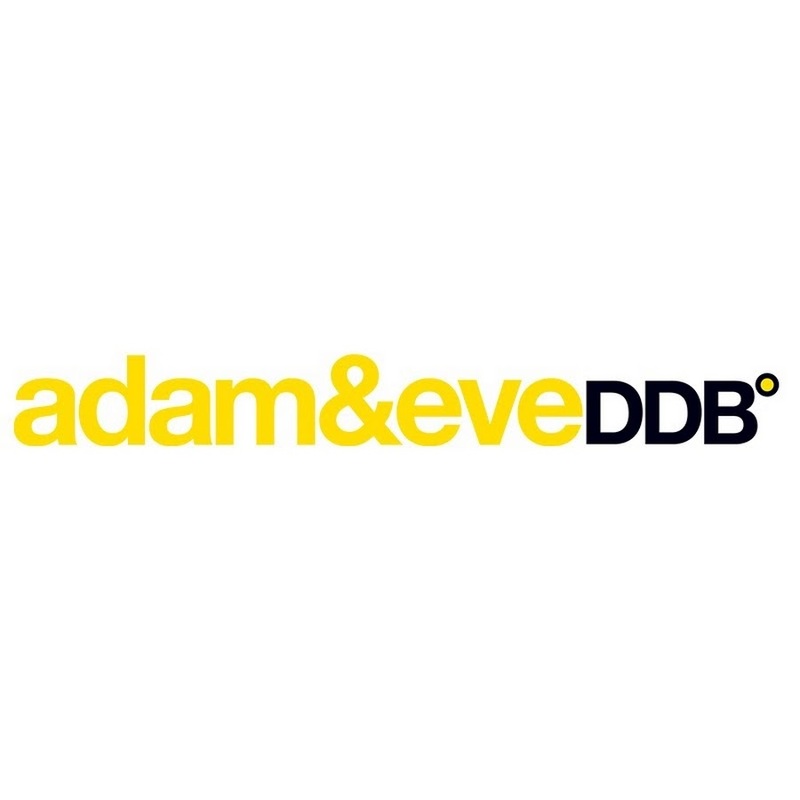 We are delighted to have advised on the sale of a majority stake in Albion Brand Communication Limited to KBS (kirshenbaum bond senecal + partners), part of NASDAQ-quoted MDC Partners Inc. Founded in 2002, Albion is a creative business partner to Europe’s most renowned entrepreneurs, startups and corporations, with a reputation for inventing and reinventing businesses to unlock growth. The agency offers a modern approach to a broad range of marketing services including advertising, branding, PR, data-led marketing, and product design. KBS, a MDC Partners agency, has offices in New York, Los Angeles, Toronto and Montreal. The partnership with Albion adds a 100-person office in London to lead the group’s activity in Europe. Albion and KBS have been working together informally in recent months, and the agencies are currently collaborating on a number of new business and organic growth opportunities in North America, Europe and China. Kingston Smith Corporate Finance acted as lead financial and tax adviser to the shareholders of Albion and provided transaction and accounting support services to the Albion finance team, enabling the cross-border deal to be completed within a very short timeframe. Having worked with Lexington for many years providing strategic advice and support to their growth strategy, we are pleased to announce that Kingston Smith have advised the stakeholders of Lexington Catering Limited on their sale to the Elior Group. 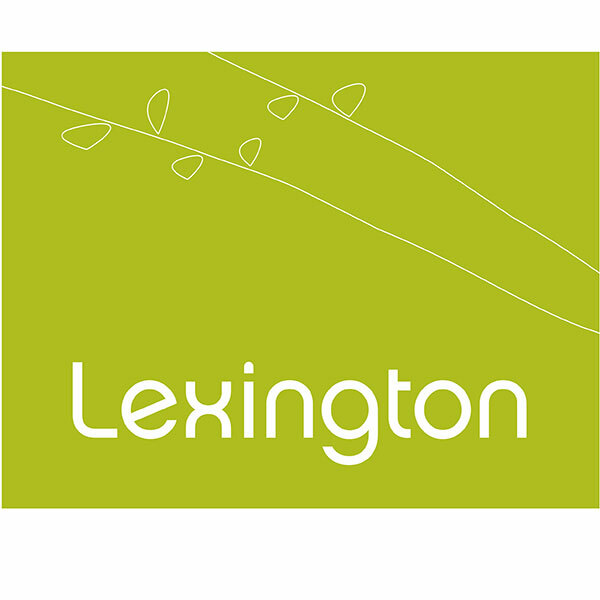 Founded in 2002, Lexington has grown to revenue of more than £30 million. Its 650 employees provide catering services to prestigious City clients such as the London Business School, the Royal Bank of Canada, Savills and Rothschild. Founded in 1991, Elior Group is one of the world’s leading operators in the contracted food and support services industry; generating revenue of €5,016.9 million in FY 2012-2013 through 17,500 restaurants and points of sale in 13 countries. The transaction was led by Marc Meadows and Matt Meadows, partners of Kingston Smith Corporate Finance. Kingston Smith Corporate Finance are delighted to have assisted M&C Saatchi plc with financial due diligence support on their acquisition of Lean Mean Fighting Machine, following our work with them on the acquisition of Merlin Elite in 2012. Digital specialists Lean Mean Fighting Machine will be integrated into the M&C Saatchi UK business. Kingston Smith Corporate Finance acted as lead adviser to the owners of i-D magazine, on its sale to Vice Media Group as the Group continues to expand into the on-line fashion market. 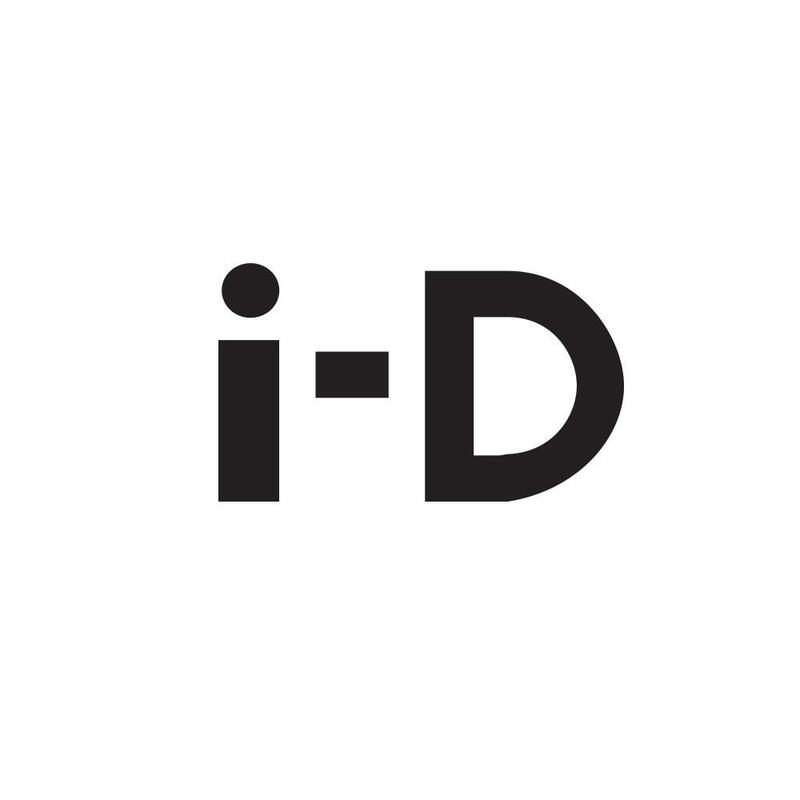 i-D magazine was started by Terry and Tricia Jones over 30 years ago and they have developed it into a forerunning magazine in fashion, art, music and culture. Having worked with i-D magazine since inception, Kingston Smith Corporate Finance were ideally placed to help maximise shareholder value through the negotiation process, which included closing the deal in an unusually short timeframe. Kingston Smith Corporate Finance acted as lead adviser to the managing director and minority shareholder of Not To Scale with regard to the management buy out (and associated fundraising) of the silent, majority shareholder. 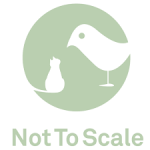 Established in 2005, Not To Scale is an award winning animation studio based in the heart of Soho. 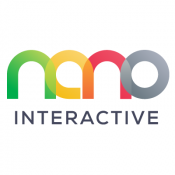 The studio has taken advantage of the digital revolution, providing animation solutions and becoming a key component within an integrated advertising campaign. Recent clients include Nike, Volvo and Channel 4, while currently the business is working with Burberry, O2, Coca-Cola and the BBC. We worked with the MBO team to put in place the most attractive funding package through our network of banks and finance providers, and dealt with the on going negotiations through to a successful close. Founder of Not to Scale, Daniel O’Rourke, commented, “The team at Kingston Smith were fantastic at getting this deal over the line. Like a lot of things in business, they can often take far longer to put in place than initially anticipated and they were great at keeping the energy up on the deal and getting all parties to the table with the right funding in place, on fair terms when we needed to." In 2011 we helped Writtle Holdings Ltd, the media sector investment company, buy Loewy Group. We led the financial due diligence and advised the directors on the key technical accounting and operational issues identified in the process. The deal brought together the iconic Loewy brand’s operating companies, which include Epoch Design, Seymour Powell, Speed Communications, The Team and Williams Murray Hamm, with Writtle’s existing portfolio of businesses, which include 20|20, Arken, Beyond Communications, Creo Retail Marketing, Maglabs and Magnet Harlequin. Since the deal, the performance of the Loewy Group companies bought in 2011 exceeded expectations in their first full year of trading, and the appointment of four directors from these companies to the Writtle Board reflects the important financial and strategic contribution to the group that these businesses are now making.